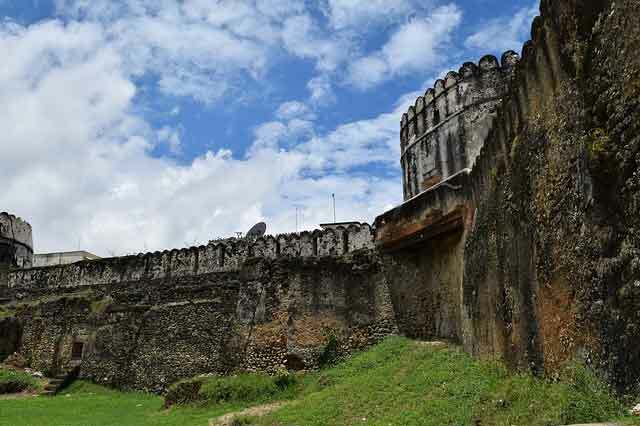 Unique experiences and dramatic sights are the norms when it comes to tourist attractions in Tanzania and Zanzibar. There’s the idyllic: an isolated stretch of white powdered sand next to gentle turquoise waters on Zanzibar. The heart-stopping: the quiet menace of a lion stalking it’s prey in the Serengeti. The intriguing: the mysterious Olduvai Gorge, home to the first remains of humankind. The Spectacular: the majestic Ngorongoro crater where nomadic tribes co-exist with the African Big Five. The enchanting: the winding cobblestone streets and ancient craft shops of historic Stone Town. The authentic: a traditional tribal dance beneath the shade of an Acacia tree. The adventurous: reaching the summit of Kilimanjaro. Tour Guide Advice: An ideal itinerary for a ten day stay would be to start in Arusha and visit the Serengeti before flying to Zanzibar for 4 nights. With a little more time, you can comfortably visit the Serengeti and the travel overland for overnight stays in Selous Game Reserve and the Undzungwa mountains, before returning to Dar es Salaam and taking the high speed ferry to Stone Town, Zanzibar. Travelling in a Landcruiser across the vast Serengeti plains is an unforgettable experience; African savannahs stretch for a blue horizon, and an airy feeling of mystique takes over as you journey further into the most famous National Park in the world. Many visitors arrive to witness a lion pride, a herd of elephants, a pod of hippos or a pack of hyena, but the Serengeti never fails to provide an experience which far exceeds these expectations. Starting in Arusha, a three day safari into the Serengeti will include a visit to Ngorongoro Crater, an extinct volcanic crater teeming with wildlife and fascinating scenery. The crater is 20km wide and over 600 meters in depth, making it a truly breathtaking spectacle and certainly one of the most unique wildlife experiences possible. Having explored the interior during the day, you have the opportunity to sleep on the crater rim overnight, where a safari lodge offers comfortable accommodation in authentic surroundings. The Serengeti is renowned for having an unrivalled number of species with large herds of elephant and buffalo, giraffe, lion, leopard and cheetah, hyena, impala, eland and gazelle. During the dry season, these animals will move according to the availability of water, which results is the reason for the Great Wildebeest Migration and also how the safari guides can predict the best places to see the wildlife. The Great Migration is the largest annual migration on earth when millions of Wildebeest will move between the Serengeti and the Maasai Mara in Kenya. 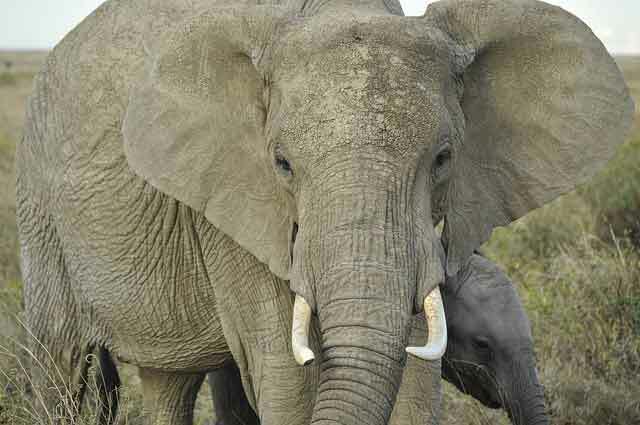 Many visitors arrive in Tanzania with the expectation of seeing this migration, but this does not confine a safari to a particular time of year. Contrary to popular belief, the Wildebeest migration is not confined to any particular months of the year, but rather the location of the ongoing migration will change according to the rains. Tour Guide Advice: Visit toward the end of the dry season when there are fewer crowds, and the cost is lower. Regardless of the month, safari guides will still be able to locate the best places in the Serengeti for viewing wildlife. The highest mountain in Africa attracts thousands of adventure enthusiasts every year and is one of the main tourist attractions in Tanzania. While it does require a certain degree of fitness, reaching the summit of Uhuru Peak at 5,895 meters is attainable by just about anyone and a reasonably safe climb for the mountain of this size. Machame, Rongai, Marangu, Shira and Lemosho are the five main routes to the top of the mountain, each of them with a varying degree of difficulty. The Marangu is the most popular and straight forward of these routes while also claiming the highest success rate for reaching the summit, but the alternative options are more challenging and offer variety in terms of the scenery. Trekking through the rainforest, lowlands and up into the hills surrounding Kilimanjaro is almost a pilgrimage and offers stunning views for miles in every direction. Armed guides will accompany the climbers at certain points as a precaution to the nearby wildlife, and after just one day, you will find yourself above the clouds, marvelling at majestic scenes worthy of any adventure magazine. Park fees are significantly higher than nearby Mt Meru or the neighbouring Mount Kenya, but climbing Kilimanjaro is truly a once in a lifetime opportunity which seems worthy of the investment. Most reputable tour operators will include potential emergency costs along with porters, guides, meals and camping equipment, and the soaring view from the roof of Africa is something which will long outlive any monetary value placed on the experience. Tour Guide Advice: Choose the Machame route, it will give you an extra day to acclimatise and offers more variety in terms of the surrounding scenery and trekking terrain. 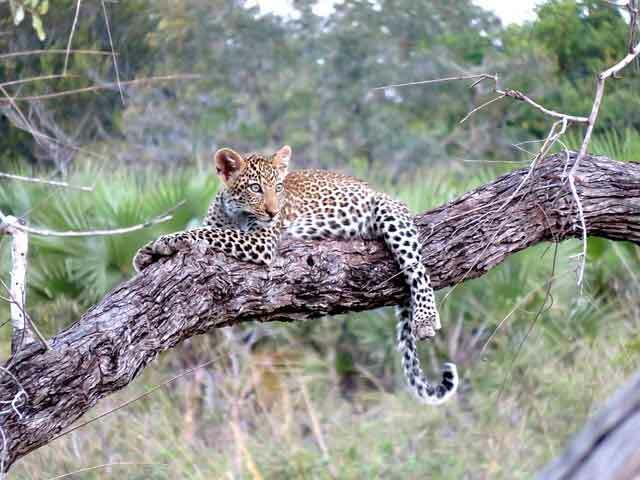 Lesser known and lesser visited, Selous is the largest Game Reserve in Africa with beautiful bush scenery intersected with fast flowing rivers and an abundance of wildlife. Home to herds of elephant, buffalo, hippo, crocodile and huge prides of lion; Selous is a hidden gem which is so much in the shadow of the Serengeti reputation, that it offers an incredibly personal and much more isolated safari experience to the visitor. In the south of Tanzania and far off the beaten track, Selous is a true wilderness which, given the lack of tourist crowds, can feel a lot more authentic than most safaris. Surrounded by mountains and with a very rugged interior, expect many wildlife encounters and to feel immersed in typical African scenery. Tour Guide Advice: There are many excellent lodges within Selous Game Reserve making it an ideal excursion and overnight stay when traveling overland between Arusha and the Indian Coast. If you have time on your side, take a drive through Mikumi National Park and into the Undzungwa mountains where Crocodile camp offers fantastic riverside bungalows at affordable rates. Zanzibar is the epitome of relaxation and a tropical island overflowing with attractions, from the luxurious five-star resorts of Nungwi, the intriguing spice plantations, the winding streets of Stone Town and remnants of the Slave trade, to the isolated beaches and pristine clear waters of the Indian Ocean. Stone Town is an ancient port and best explored on foot, where a myriad of narrow cobblestone streets wind their way between small craft stalls, quaint cafe’s, art galleries and stores selling all manner of wares. Several important remnants of the slave trade are still standing and make for a humbling experience in what is now a very colorful town. Arabica coffee and spicy dishes are common, but the real attraction in terms of food can be found at the nightly market along the waterfront which is akin to an enormous buffet of seafood, fresh fruit, barbecued meats and other local delicacies. Another highlight of a stay on Zanzibar, is to uncover the fascinating history of the local flora and flavors by taking a trip to the spice plantations north of Stone Town. While several five star resorts and quiet locations can be found around the island, the star attractions for most visitors are undoubtedly the North Beaches of Kendwa and Nungwi. Both resorts offer a fine stretch of white sand, with the main difference being that Kendwa is much quieter with limited options in terms of bars and restaurants. Snorkeling, diving, sailing trips and seafood barbeques; there a plethora of things to do in Zanzibar and a wide variety of restaurants or bars for nightly entertainment. Nungwi is also ideal for honeymoons but for a more secluded experience, there is also a large number of luxurious resorts lining the East coast in particular with Matamwe, Pongwe and Bwejuu among some of the most popular places for a honeymoon in Zanzibar. Serenely beautiful, infused with culture and one of the most idyllic settings to relax; Zanzibar is the perfect place to end any adventure to East Africa. Tour Guide Advice: Stay overnight in Stone Town before traveling to the Nungwi or Kendwa for three nights. Take a snorkeling day trip to Memba Atol island and sample as much local seafood as possible. For a once in a lifetime experience try visiting between November and January when it is possible to dive or snorkel with the biggest fish on the planet, the Whale Shark. 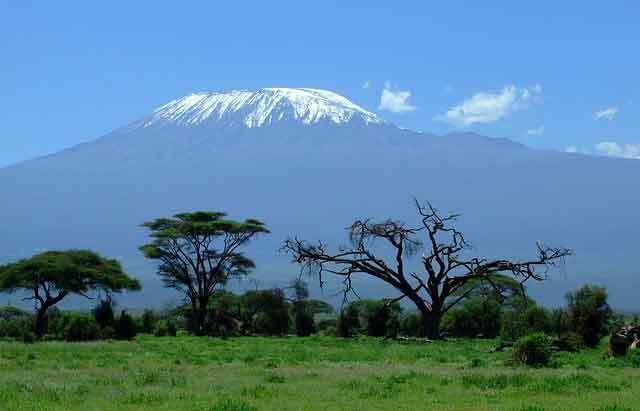 How difficult is it to climb Mt Kilimanjaro? How Much Money to Bring to Tanzania?